The new X-1 by Ebel is brimming with style and magnificence. It harmoniously combines steel and ceramic to confirm an intense black background flowing from case to bracelet. In the foreground, juxtaposed diamonds play a seductive and sophisticated game: the crown is adorned with 15 diamonds while 48 others grace the bezel and another eight embellish the dial. This watch embodies a number of bold aesthetic choices making it the perfect accessory for dynamic, chic and self-confident women. 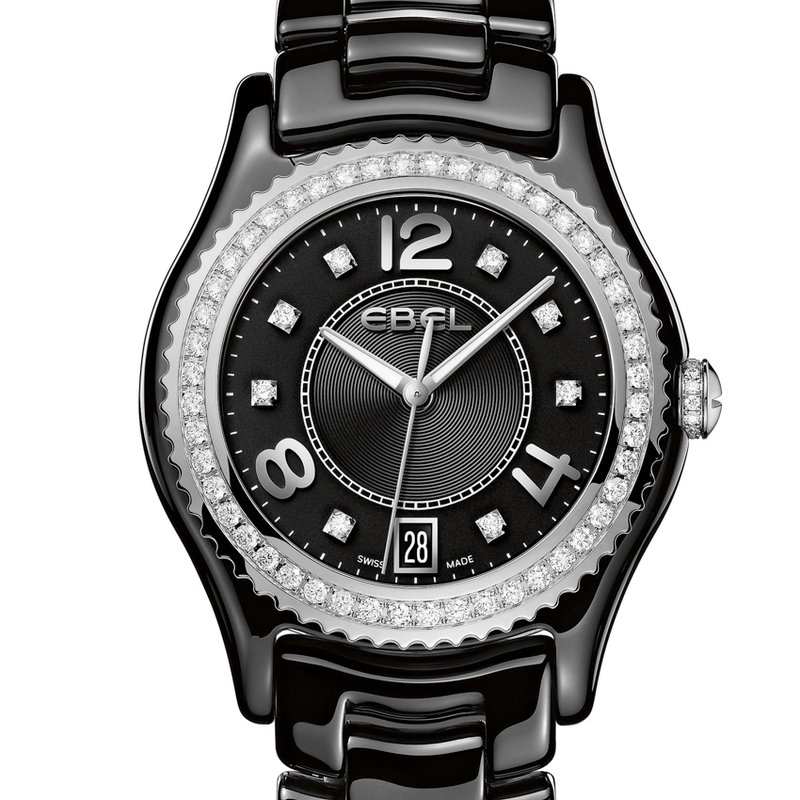 The smooth ceramic and polished steel bracelet features Ebel’s signature wave links. This fresh and surprising design features a wealth of subtle and exquisite details.